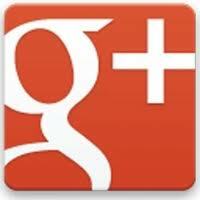 Google+ is growing like a wild fire and it has great features and Privacy. Google plus are taking their services very seriously because they want to make Google plus most popular like Google chrome and Android.Since google had Lost their most popular Social Networking Site Orkut So they want to make easier for orkut user to get connected with Google plus,Google plus has introduced new service of copying all orkut photo Album to Google plus Profile. In past days you must have enjoyed Orkut with your friends but all we know that time doesn’t remain same and Now it’s time for Google plus.You must have Uploaded large number of photos in orkut account, Now get those photo to your Google plus profile just in few seconds. If you do Photo Uploading Manually then it may take hours, Here is simple solution to upload all orkut photo album to Google plus Profile. Google has added new option for Orkut Profile to share all your images and album to your Google plus profile. 4. Select the Album which you want to import to Google Plus and Click Import Selected. Nice experience. Got all the details on single click. Best wishes for further posts.